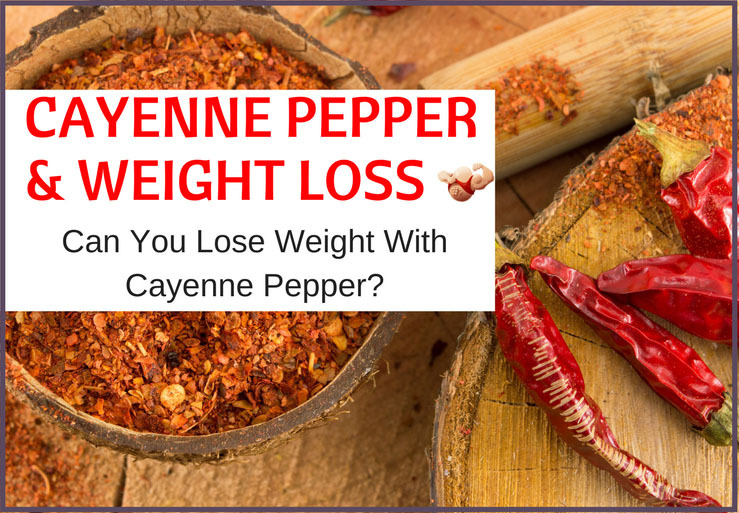 Home » Weight Loss » Can Cayenne Pepper Really Make Weight Loss Easy? There has long been a debate over whether or not the hottest and spiciest foods on the planet can actually help you lose weight. There are advocates that it certainly can help, while there are also detractors that simply mock the idea of it even being possible. In fairness, we have taken a closer look at some research to see what it says about one of those foods. That food is cayenne pepper; one of the hottest peppers known to humankind. Is this pepper really strong enough to help fire up the body’s heat and metabolism to lose extra weight? We investigate! Can Adding Cayenne Pepper To Your Diet Really Help You Lose Weight? ​There are many studies that show a positive relationship between losing weight and cayenne pepper. Below we have a look at a few of them. A study published in the British Journal Of Nutrition found that adding red pepper to a high carbohydrate meal made the body think the meal was higher in fat than it actually was. In other words, cayenne pepper may slightly increase metabolism and fat burning due to the body’s misinterpretation of the composition of the meal consumed. However, it is worth noting that for this experiment the study group was small. More research would need to be done before this is confirmed, but the study proves promising that cayenne peppers may boost weight loss slightly. In 2009, a study, published by The American Journal Of Clinical Nutrition found that including green tea as a drink in one’s daily diet combined with regular consumption of cayenne pepper flavorings on food may result in feeling less hungry. People on low-calorie diets who regularly drank green tea and consumed cayenne pepper flavorings with their food intake reported feeling slightly less hungry than those who did not consume green tea and cayenne pepper seasoning. Increased feelings of satiety and having less hunger pangs can help you lose weight because you won't eat as much if you don't feel hungry. So finding something that can help you feel less hunger is always welcome in the world of weight loss. There is a weight loss supplement industry that backs this up! The American Journal Of Clinical Nutrition ran a study in 2008 that showed cayenne pepper successfully helped participants lose excess abdominal fat over taking a placebo pill (even if actual weight in pounds never changed). These studies also proved that consuming cayenne pepper regularly on a moderate-calorie diet helps keep the person’s metabolism working at a steadier pace. A “moderate calorie diet” is defined as a diet between 1200 and 1800 calories minimum for day for the average person based on individual caloric needs. Getting your recommended 300 minutes of moderate-intensity exercise per week and participate in at least 2 strength-building sessions per week as well to preserve lean muscle mass and strength. That plan is much more doable when you are not ravaged by hunger constantly. Many famous celebrities have touted the “Master Cleanse” as a holy grail of weight loss. The “Master Cleanse” instructs the user to consume a combination of nothing more than cayenne pepper, lemon juice and maple syrup all mixed in water for a detox drink. You then drink this 8-12 times a day, keeping calorie intake to around 650 calories per day. This diet is to be followed for at least 10 days or longer to allow the body to burn fat rather than the preferred carbohydrates for the body’s main fuel source. For more information on this diet you can see our guide here. Celebrities have raved about how much more energetic they have felt and how much better they looked. 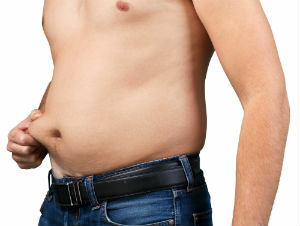 Many claimed they could feel the fat leaving their bodies as they completed the cleanse. Others said they felt “lighter” with each passing day. Since the diet lasts 10 or more days, the key to detoxification is to leave the body without solid foods for longer periods of time. By doing so it gives the body a chance to deal with all the toxins that have built up in the body. It allows the liver to do a “reset” that helps flush the bad stuff from the body and leave the body purified and energized. It also helps the person lose weight rather rapidly which is why it is so popular. Celebrities who strictly follow this diet at times have included Beyoncé Knowles, Jared Leto, Demi Moore & A﻿shton Kutcher, Ashanti, Anna Getty, Robin Quivers, Gwyneth Paltrow, Angelina Jolie, and Denzel Washington to name only a few. Relieves Joint & Nerve Pains: Cayenne peppers contain a substance called “P” that helps send powerful chemical messages to the brain to stop pain from registering with the human brain blunting any pain that the person may feel. Therefore they can be helpful in relieving joint and nerve pain. Aids In Digestion: Due to cayenne pepper’s virtually unparalleled level of spice it can help produce more saliva to aid in digestion. The additional saliva being produced helps the foods consumed flow through the intestines better and allows it to digest more smoothly. Treats Irritants: Generally spicy food is thought to upset your stomach as opposed to help it. However, cayenne peppers can help heal upset stomachs, indigestion. sore throats, and coughs. Rids The Body Of Fungi: Cayenne pepper can help prevent fungal pathogens such as phomopsis and collectotrichum from taking root and growing within the body which can make a person quite ill. Supports Detoxification Of The Body: Cayenne pepper helps support healthful circulation and increases the speed of the lymphatic and digestive systems by helping heat the body’s internal temperatures to help flush toxins from the body. Combined with lemon juice and honey it can make a great morning detoxification tea. Boosts Calorie Burning Potentials: Cayenne peppers slightly raise the body's core temperature which can help increase the possible calories burnt by the body. Cayenne pepper is so powerful in its spice that it takes only about ½ teaspoon of cayenne pepper added to a meal to get the job done. Cayenne pepper is also spicy enough to help curb your appetite and help provide greater satiety by decreasing your desire for salty, fatty and sweet foods. Clear Up Congestion: Cayenne pepper is so powerful that it can help clear up a congested runny nose quickly. Many people turn to spicy foods to help de-clog themselves and cayenne pepper is a great choice to use. Lower Blood Sugar Levels: In generous amounts, cayenne pepper can help regulate the blood insulin levels of those with diabetes. Studies show that after eating a meal with cayenne pepper in it, people with diabetes needed less insulin to balance blood-sugar levels than eating a meal without cayenne pepper in it. Protects Against Heart Diseases: Some studies seem to support that giving cayenne pepper extract orally to a patient helps prevent heart attacks, however more research is needed to confirm these studies that have already been done. Boosts Immunity: The Vitamin A content in cayenne pepper (also known as beta-carotene) protects against incoming pathogens to help the body create healthy mucus membranes in the nasal passage and urinary tract to help prevent against incoming pathogens and infections. There are many ways to include cayenne pepper in your diet. One of the easiest ways to ensure you are including cayenne pepper as a seasoning in your diet is to keep a cayenne shaker on your kitchen table and replace every dish you would add salt to with cayenne pepper instead. This helps cut the level of sodium in your diet, while adding cayenne pepper to your diet as well. It will only take a small amount of cayenne pepper compared to salt to season your dish as cayenne pepper’s spice is exceptionally powerful. Add the cayenne pepper to dishes like lobster, oyster, shrimp, fish, stews, or other main dishes to help provide a low-sodium alternative. A sprinkle of cayenne can be added to drinks for an extra spicy kick. This includes drinks like hot chocolates or hot teas. Adding cayenne pepper to dishes for breakfast like soufflés, omelets, and even egg salads to put on croissants or sandwiches. Include cayenne pepper as spices that can be mixed into dips such as hummus, guacamole, and other toppings. You can also take a cayenne pepper supplement. When you start including cayenne pepper into your diet do it slowly. Cayenne pepper is one of the hottest peppers known to man and you wouldn't want to put yourself off the stuff right from the get go! Who Should Avoid Cayenne Peppers? There are some people who should avoid cayenne peppers all together due to the potential consequences it could have on their health. People who are prone to or have had ulcers or heartburn in the past should avoid consuming such a highly spicy food. People with allergies to certain materials including latex, bananas, kiwi, chestnuts, and avocadoes are also highly likely to be allergic to cayenne pepper as well. Children - It is best to err on the side of caution when it comes to spicy foods and children. Many suggest that children should never be given spicy foods under any circumstances. Children’s bodies are not fully matured as adults’ systems and are not meant to handle such high levels of spice. However, as a baby, I was given spicy food (coming from a mixed European background) and I am sure many others too. In the case of weight loss though - it is totally unnecessary to give to children. Anyone addicted to cocaine should avoid cayenne peppers as it can make the side-effects of the cocaine much more pronounced. It is safe to eat while pregnant, but avoid capsaicin supplements as they are not safe (they contain too great of a dose of capsaicin specifically). Breastfeeding mothers need to avoid cayenne peppers as the spice can seep into their breast milk. Cayenne peppers can interact adversely with ACE inhibitor medications including Captopril, Elropril, Fosinopril, Lisinopril. Stomach acid reducers can also react adversely with cayenne pepper including medications like Cimetidine, Esomeprazole, Omeprazole, Ranitidine. Cayenne peppers can also act adversely with aspirin, blood thinning medications, and some diabetes medications as well. It is not recommended to take herbal supplements or theophylline while using cayenne pepper regularly either. Do not give cayenne pepper to small children as their bodies are not equipped to deal with the level of spice provided by cayenne peppers. The spice is overwhelming and can be especially harmful to children under age 2. Consuming too much cayenne pepper can be hard on the stomach, so use such a hot spice sparingly as well. This way you get to enjoy the health benefits of cayenne without the adverse side-effects that cayenne can cause if not used in moderation. Cayenne Pepper appears to be a great way to aid your weight loss efforts. It seems to help with cravings, abdominal fat and increases the metabolism. It is also really easy to add into your diet if you want to experiment with it and see if it helps you in your weight loss journey.